Mt. Zion Baptist Church - Staff - Associate Pastor: Pastor George Henderson, Sr.
Pastor George Sylvester Henderson, Sr. A Pastor, A Preacher, A Teacher, and A man of God! He was born on May 26, 1950 to the Late Rev. Henry Henderson and Sis. Olivette Henderson. He is a resident of Mobile, Alabama. He and First Lady Sister Rita Grey Henderson were united in marriage on February 7, 1987; they have eight wonderful children. Pastor Henderson received his license to preach on July 22, 1990 at the Mt. Zion Baptist Church #2 of Trinity Gardens, Alabama. He was installed as Pastor of the Little Rock Missionary Baptist Church of Foley on October 10, 2004; .he is a member of the Mt. Zion Baptist Church of Mobile, Alabama. Pastor Henderson graduated from the Trinity Gardens High School in 1968; he went on to Bishop State Junior College, of Mobile, Alabama from 1968-1969 and Erie Community College, of Buffalo, New York from 1976-1977 majoring in Business Administration. He returned to Bishop State Junior College of Mobile, Alabama in 1988 where he took Psychology and majored in Business Administration and Minored in Divinity. He attended the Interdenominational Baptist Ministries and studied the Doctrine of Creation. He graduated from the Alabama Interdenominational Seminary, Inc. of Mobile, Alabama on June 13, 1999. Pastor Henderson studied in the Department of Theology from Selma University, Selma Alabama. He served as a Program Manager (employee) at the Cornerstone, Inc. Treatment Program for Adolescents, Neglected and Abused Children from 1984-1995; he began serving in 1995 and is currently serving (employed) at the St. Mary's Home, Program for Adolescents, Neglected and Abused Children as a Behavior Specialist. 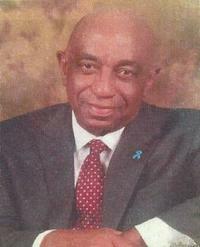 Pastor Henderson was a member of the Mt. Zion Baptist Church #2 where he was baptized under the late Rev. C. Bonner in 1957. He served as a Youth Counselor, Sunday School Teacher, Chief Officer Senior Usher Board, until he was ordained as a Deacon in 1989 under his father Reverend Henry Henderson. Pastor Henderson was called into the Ministry July 1990 and licensed by the late Rev. S. M. McCree, Sr. of the Mt. Zion Baptist Church of Mobile, Alabama on March 13, 1994 and became Associate and Youth Minister where he served faithfully. He served as a Spiritual Advisor, Port City United Voices Youth Choir from 1993-1996. In the First Eastern Shore Missionary Baptist Association, Pastor Henderson served as Associate Dean for the Congress, 1992-2001, Program Director - Boys Camp, 1999-2008, Dean of Christian Education, 2001-2009. Also in 2009 he became the President of the Congress of Christian Education. He is the past president of the Trinity Gardens Middle School PTA and the Chastang Middle School PT A. He served as Counselor and Coach of the Trinity Gardens Recreation Department; Coach of the Hank Aaron Park Baseball and Football; and Coach of Mt. Zion Baptist Church Basketball.